Easter, as well as SCCE’s Wine Academy 2019, were duly Kicked Off as SCCE gathered at Restaurant MEKK in Tallinn’s Old Town, Wednesday evening 17 April. 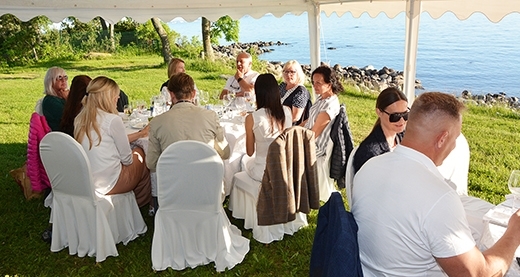 Very welcome to SCCE's Summer Party 2019, this year at Rannarahva Muuseum – The Museum of Coastal Folks in Viimsi on 23 May. Read more Business Lunch - Mood and Economic Growth In terms of commerce, trade and investments, Sweden is in the top league on the Estonian market; What happens in the Swedish economy has an impact on the Estonian economy.